"I heard about Pinnacle from a co-worker; it was her recommendation, she said Pinnacle did an excellent job, so I decided to call. I did have other estimates made up, but they were they only one's that really came to the house to talk to me. 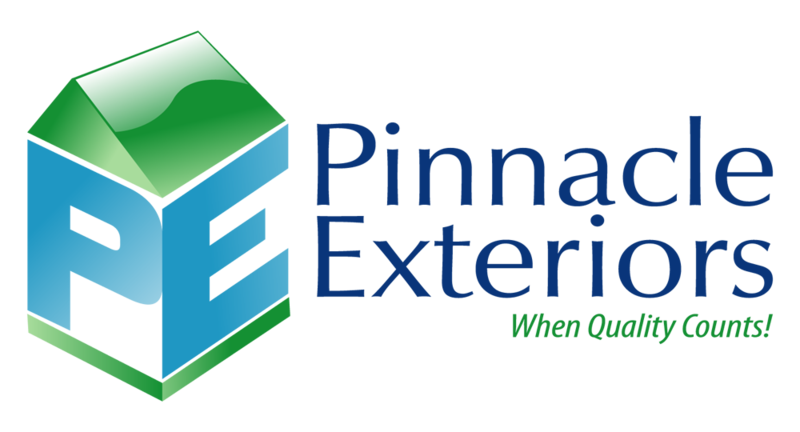 The rest just came by, did estimates and left, and sent you an estimate so you didn't really know what was going on, what kind of shingles they were using, while Pinnacle sat down and showed you the product, so that's what I think mad me go more with them." "I heard about Pinnacle from a coworker, it was her recommendation. She said Pinnacle did an excellent job, and I decided to call, and I did have other estimates made up. But they came to the house, they were really the only one's that came to the house to talk to me, the rest just came by, did estimates and left, then sent you an estimate. So you really didn't know what was going on, what kind of shingles they were using, where Pinnacle sat down, showed you their product and that's what I think made me go more with them. Roofing, it's all shingle roofing. I just called Pinnacle on the phone, they answered, no machines, I got a real person, and they gave me a date, came out and we settled everything that night. It was very good, the salesman was very nice, congenial, he showed me all the product and gave me the pricing. Everybody was answering the phones, getting right back to you; when they said they'd call you back, they called you back, so it was a very nice experience. I had many leaks from all this heavy rain and wind, and I've had several leaks, so I needed to get it. And the roof was old, so I thought maybe I could get it patched, but when we really looked at it, it needed to be replaced so I ended up replacing the whole roof. I was very surprised at the clean up. It was very... they did a great job cleaning up, there was not much left, you know I found little bits of the under... whatever that stuff's called (laughing), paper or whatever, but really they did an excellent job of cleaning up. Nina had said that Pinnacle did an excellent job, and she was very pleased with their results, and their pricing was good, so I expected great results and I got great results. Eventually I need all new siding and windows, so once the roof is taken care of and paid off, maybe I can venture out in to other projects in the house. I don't know anybody who really needs a roof at this time, but I have talked about Pinnacle and said what a good job they've done, so if I come across anybody who needs work, I'll know to recommend them. I think they were quite efficient, they did a good job, the clean up was great. It went a little faster than anticipated, they were here bright and early in the morning and were gone by lunch, so it was a good experience." "Everybody was answering the phones, getting right back to you; when they said they'd call you back, they called you back, so it was a very nice experience." "But they came to the house, they were really the only one's that came to the house to talk to me, the rest just came by, did estimates and left, then sent you an estimate. So you really didn't know what was going on, what kind of shingles they were using, where Pinnacle sat down, showed you their product and that's what I think made me go more with them." "I was very surprised at the clean up. It was very... they did a great job cleaning up, there was not much left, you know I found little bits of the under... whatever that stuff's called (laughing), paper or whatever, but really they did an excellent job of cleaning up. Nina had said that Pinnacle did an excellent job, and she was very pleased with their results, and their pricing was good, so I expected great results and I got great results." "I was very surprised at the clean up. It was very... they did a great job cleaning up, there was not much left, you know I found little bits of the under... whatever that stuff's called (laughing), paper or whatever, but really they did an excellent job of cleaning up." "I heard about Pinnacle from a coworker, it was her recommendation. She said Pinnacle did an excellent job, and I decided to call, and I did have other estimates made up." See what other customers from Allentown say about us!